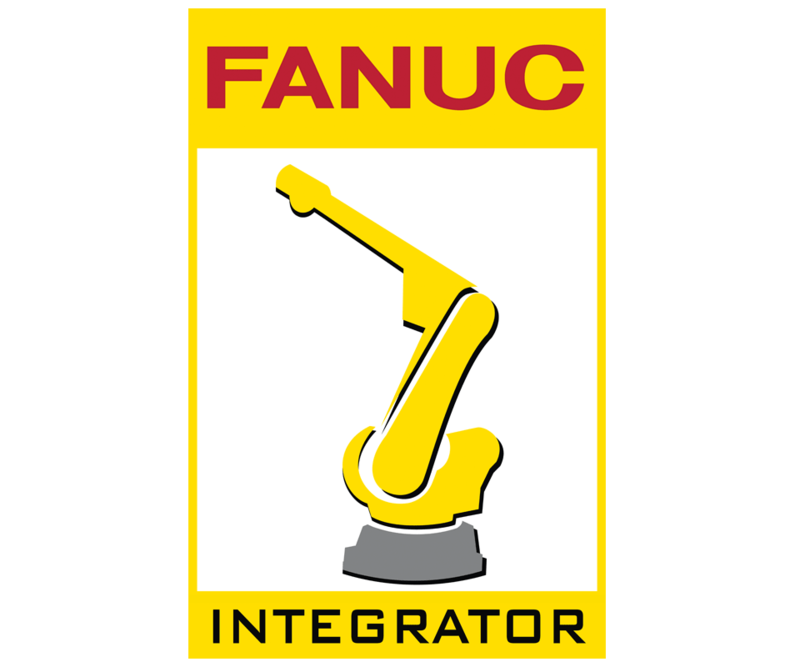 Industrial Innovations, is now an AUTHORIZED SYSTEM INTEGRATOR of FANUC Industrial Robots. 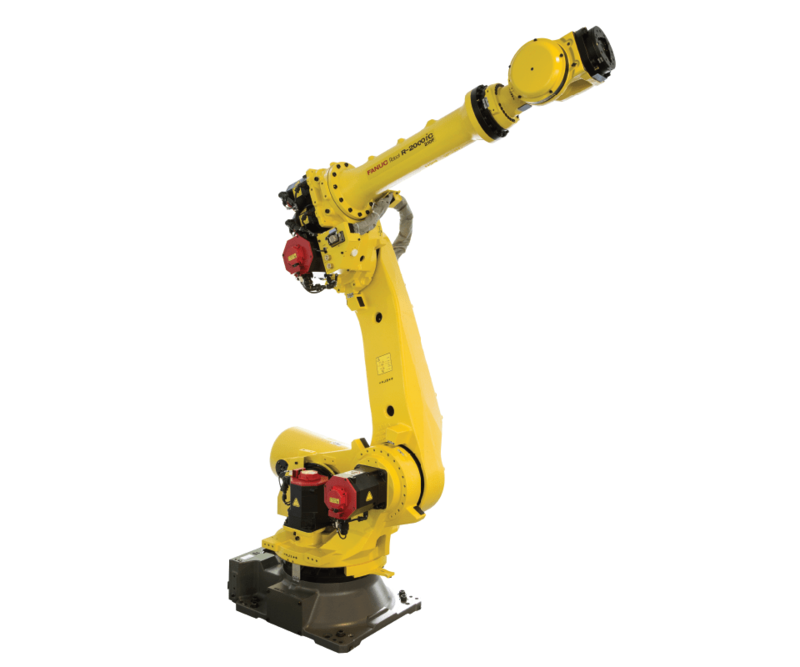 LOOK TO INDUSTRIAL INNOVATIONS as your complete source for robotic extraction, spray, ladling, machine tending, and inspection systems, proven to maximize production performance. 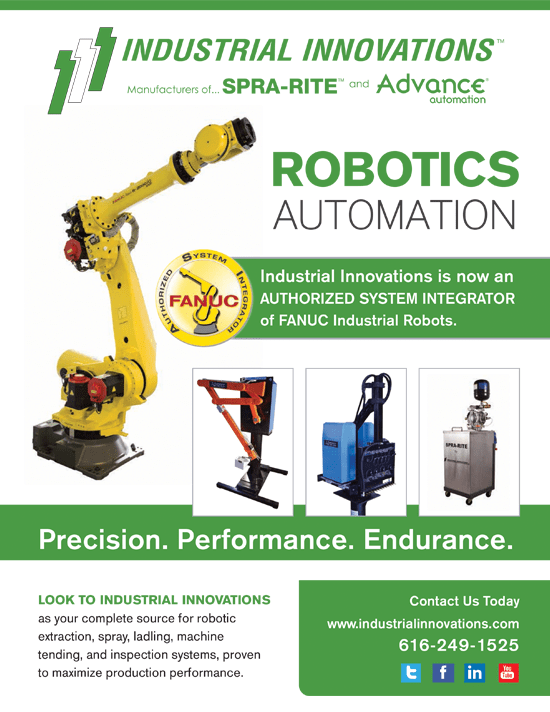 Give us a call at 616-249-1525 to learn more about Industrial Innovations integration of FANUC robots and robotic systems.